Can You Say “No” To Your Dog? We are hearing from many of our clients that that they were told in puppy classes that they are not allowed to say “no” to their dogs. By the time we get to these poor clients their dogs are out of control and often display ADHD symptoms. These owners are offered no way to stop unwanted behaviour other than to ignore it. Many are even told that their dog may need to be medicated. The advice they were given is clearly not working for them but they have nothing else. They are not allowed to say no to their dog. We believe that this advice is both disempowering and ridiculous. It may be philosophically nice but It shows a lack of understanding of dog behaviour, communication and interaction. Yes, we should use positive reinforcement whenever possible and appropriate, of course, but certainly not exclusively. (Can you say no without causing fear, pain or intimidation? Of course! It is the way it is done. You say no to your kids don’t you? Are they traumatised because you set boundaries? Of course not. We say “no” because we love them!) Would you allow your children to be aggressive to other kids or to ignore rules on the basis that if they get told “no” they might become scared or aggressive? Boundaries and consequences are a healthy and normal part of life and learning to fit successfully into society. Saying no to a dog is necessary in a lot of situations as a way of providing valuable feedback to the dog (whether it is their best interests to repeat the behaviour). Not doing so can sometimes be confusing and counterproductive. Your dog needs a balance of negative and positive consequences to understand the behaviour you want. As a dog trainer, I like to think of it as a framework we set up so they can negotiate. Nature is always in balance. Nowhere is the natural world does ‘positive only’ exist. This is just how things work. Mammals learn principally by copying and much of the behaviour needed to survive and thrive is taught. This feedback is unquestionably not all positive in the dog’s natural environment, so why should it be with us? Have you ever seen a dog growl at another dog over a bone? Or snap when it wants to be left alone? Either dog takes no offence and it is understood immediately. There are no treats being handed out and no “hope I didn’t offend you earlier”. This is because it was never done to offend nor does it come from ego. It is just business to the dog and a very effective and efficient use of energy. It is very confusing to the dog when humans avoid any confrontation or challenge when they crave clarity and security. The reason so many dogs are displaying ADHD symptoms is that they have not been challenged for being in an over-exited or over-simulated state. These dogs are wired and find it hard to stay calm. They find it hard to switch brain states and are stuck in an active state that needs constant stimulation and attention. It is our responsibility as loving guardians to help our dog to stay in a predominantly calm or passive state of mind and not get stuck in this active state. If we observe a group of dogs, we will see this is what nature does. When a weaker energy dogs gets over-exited or anxious the stronger energy will challenge it to bring it back to balance. The being that oscillates at a higher frequency is always calm and wants the pack to stay at the same frequency. It is ok to say no! No is not a dirty word. There are countless self-help books written on the topic. Your dog will not assume you don’t love them if you say no or become assertive. They will assume you love yourself, and that is reassuring and healthy in any relationship. If your dog is doing something that you don’t like, and it is making you feel compromised in any way, insist that they stop! Stick up for yourself! I see too many owners getting jumped all over, nipped, having their personal space trashed and being pulled along on a walk, but they feel guilty telling the dog off in case they hurt the dog’s feelings. It is not only ridiculous; it is very unhealthy and stresses the dog. As your dog’s guardian, it is your responsibility to teach them self-control and boundaries and this means saying “No” when needed. Saying No is not the same as a punishment if it is done correctly and with the right intent. It is a consequence, allowing a learning experience, and does not cause bad feelings. It is imperative to understand this. An example of a consequence would be to lean on a cactus. You quickly learn not to do it again but you don’t feel bad. Our challenge should provide similar feedback to our dogs without causing any stress. Each dog is unique and will need a different level of discomfort before they will accept and change their behaviour. The intensity or energy behind your “no” should only ever be the bare minimum required to achieve your result, but you must also be prepared to offer whatever it takes. If we are to be fair and worthy leaders in their eyes, we must make a decision. Either offers a higher level of discomfort than they are willing to tolerate or stop and allow them to continue the behaviour. One or the other, but you must make the choice. Not following through is counter productive. What is seen by one dog to be overpowering or intimidating may be seen as reassuring to another. Our response should always be modified to give the dog what they need at the moment. The decision to take pressure away or to add pressure depends on the situation and the dog. A challenge is never meant confuse or scare a dog. The body language of a scared dog is different to one who is being defiant or aggressive. Learn to read your dog’s body language so you can tell the difference. If you’re unsure, get a professional to teach you. If you have a dog that goes straight into fight or flight in a situation, get professional help as soon as possible. If you don’t understand how to break these layers down so the dog can learn new associations, you run the risk of simply practising the old behaviours and reinforcing them. How your dog perceives your no depends largely on the state of mind and the emotion you are in when you do it. If you are angry or frustrated at your dog or feeling stressed (unsure of yourself, fear, embarrassment, panic, failure) your dog will perceive this as weak energy. It doesn’t make sense for a dog to be challenged by weak energy, it is non-genuine. Calm assertive energy is what your dog will respond to, in other words, you need to be feel good and very certain about what you want to create. Understand that a dog doesn’t know that the unwanted behaviour is ‘bad’ nor do they ‘know better’. Stealing food for eg. is not ‘bad’ to them, it’s smart and would keep them alive. We need to teach them. If we can provide feedback in a neutral and loving way consistently and demonstrate to the dog that ‘this new response’ is the best choice for finding comfort/eliminating stress, it will make complete sense to the dog to repeat this behaviour. It is the result that is important here. We need to break the pattern of ‘last memory’ and make today a new memory as a reference point. The way your dog reacts and accepts this feedback from you will also depend on who you are to your dog when you give it. What is the existing relationship you have with this dog? Have you earned the right and privilege to make decisions for them and take control of situations by consistently displaying effective leadership and impressing them? Does your dog listen to you in other situations when there is nothing but your approval on offer? If your dog only listens to you reliably when you have treats, that’s not respect, it’s bribery. It will give you limited control at best. Excess energy will often show up as unwanted behaviours if not released daily and so this can have a huge impact on things. If your dog is constantly pent up then they will be looking for an outlet. If your dog has excess energy, drain this first! It is unfair to expect them to manage this. Don’t expect your dog to understand how to deal with excess energy, it has to go somewhere and will usually show up as “bad” behaviour. Set them up for success. When we are able to change a dog’s state of mind from tense (stressed) to relaxed and then reward it for being relaxed, we are able to reassociate the dog with whatever is triggering the unwanted behaviour. It will over time (and often immediately) be able to associate the stimulus/trigger with relaxed behaviour instead of stressed or reactive behaviour. My experience has been that ignoring unwanted behaviour, and/or by failing to address and correct it immediately, can often have a more negative overall effect than by challenging. In addition, I have very rarely seen any dog become confused, scared or upset when a challenge is given calmly and without emotion with the intent to teach. The hard part, it seems, is for the human to stay relaxed and non-judgemental while giving it! Dogs don’t nag each other. If given the chance they will always sort it out now and move on. They don’t say “ok that’s enough for today, let’s do some more tomorrow.” When we hear of issues taking months (or even YEARS) to fix we know that something isn’t right. 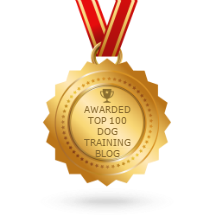 In our view, if there aren’t significant positive changes in your dog’s behaviour within one or two sessions something isn’t quite right and the methods being used need re-adjusting. Try something else!! There is no rule book for dogs set in stone. Be flexible and open minded – what works for one dog may not work for another. If what you have tried hasn’t worked so far, change your beliefs and your approach. All dogs are trainable and even severe symptoms can be shifted and changed once you know how. In our view, as a loving guardian. saying “no” to your dog or puppy for unwanted behaviour when necessary is both healthy and beneficial to both you and your dog. Next time someone in the pet industry offers you any advice please remember to make sure it sits right with you and trust your own inner guidance and intuition. If it doesn’t feel right it is not for you. There is a lot of questionable advice being circulated around in this industry at the moment.